| Home | Blog | How Do You Crate Train a Puppy? How Do You Crate Train a Puppy? Crate training relies on your puppy’s natural instinct as a den animal. It is a safe place for them to escape and sleep. The caution with crate training a puppy is that they shouldn’t be left in it for too long. A puppy can only hold their bladder for so long before an accident is inevitable. The main purpose behind crate training is for housebreaking your puppy. Meaning that you want to train them to not relieve themselves in the house or destroy your home while you are gone. A crate will not solve all of your puppy problems. Use it in conjunction with other training methods. Here are the steps to crate train your puppy. Select a crate that is of the correct size for your puppy. Your puppy should be able to stand up and turn around inside the crate. You may want to purchase a crate that will accommodate the size that your puppy will be as an adult. Many people choose to purchase a smaller crate in the beginning and then upgrade to a larger one later on. There are different types of crates available. Determine if you are planning on using the crate long-term or just for training. This will dictate the type of crate that you purchase. Introduce your puppy to the crate in a place where you spend a lot of time. Put comfortable bedding material inside the crate. You want to create a welcoming environment that your puppy can explore. Either remove the door or secure it in the open position. If your puppy if hesitant to enter the crate, try putting a treat inside or their favorite toy. Be positive when encouraging your puppy into the crate. Don’t force your puppy into the crate. You want your puppy to associate the crate with good things. 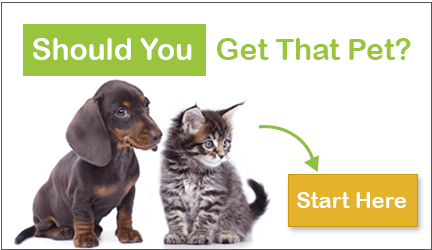 Allow your puppy to go in and out as they choose. The point of this exercise is to familiarize your puppy with their new den. Serve your puppy their meals in the crate. This allows them to associate the crate with a place of safety and somewhere that they want to spend some time. Leave the door open in the beginning. 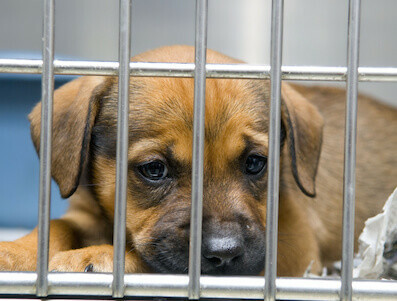 As your puppy becomes more comfortable with the crate, try closing the door. Once they have finished eating, allow them to come out. With each meal that they have in the crate, leave the door closed for a few minutes longer. If your puppy starts to whine, don’t open the door immediately. Train them that they have to stop whining to be let out. If you let them out every time that they whine, you are teaching your puppy that whining is the key to the door being opened. Once your puppy is comfortable with the crate, try putting them in it when it is not meal time. Teach them the command to go to their kennel or even their bed. Give them a treat when they willing enter the crate. Give them excessive praise as you close the door. Sit near the crate for about ten minutes without saying anything. Your puppy may whine in the beginning. Once they have calmed down, leave the room. You only want to be gone for five minutes the first time. Come back into the room and sit next to the crate for a few minutes. Let your puppy out of the crate once they have stopped whining. Repeat this process until your puppy is able to stay in the crate calmly for thirty minutes without you being in the room. In the beginning, only leave your puppy in the crate for short intervals of time. Once your puppy has mastered the ability to stay in the crate for thirty minutes, it is safe to leave them in the crate while you are out of the house. Use the same training method each time. Let your puppy know that you are leaving and then go. Don’t draw out this process. Make sure that your puppy will not be left alone for more than a couple of hours. They are still young and can only hold it for so long. You can now start to crate train your puppy at night. Move their crate near your bed and put them in it at night. This is so you can get up with your puppy at night to let them relieve themselves. Once they are sleeping through the night, you can move the crate to another location if you wish. A crate should never be used for punishment. This will cause your puppy to associate their crate with negative emotions. Another thing to remember is that your puppy may be whining because they need to relieve themselves. Say the phrase that they associate with going outside. If they get excited, take them outside. Crate training will take time and patience. ← Why Is My Cat Peeing Outside of the Litter Box?